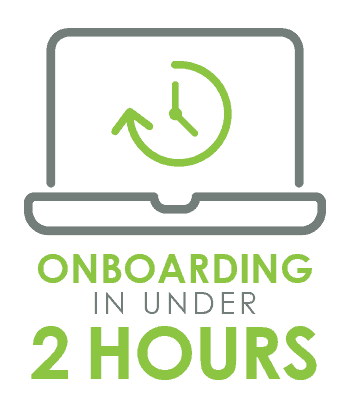 We take the challenge, stress and worry out of changing IT suppliers by fully managing the entire process in less than 1 hour and 40 minutes of your time, so you can continue doing what you do best with minimal disruption. We’ll set up an introductory call with your designated IT contact & our onboarding project specialist. We liaise directly with your in-house IT manager or current IT provider to get all of the technical information we need to seamlessly migrate your systems. We carry out a full on-site audit of your IT infrastructure, and install our monitoring and management agent. Our engineers perform any set-ups, migrations and changes that are needed, and our helpdesk meet to ensure your transition to Support Tree runs smoothly with everyone in the loop. We visit your office to present your new Support Tree contact to all staff and answer your questions. You are now up and running with Support Tree 360 Support. Based on our initial findings and audit, a technical summary will be provided to your dedicated vCIO (Virtual Chief Information Officer), they will then start work on your recommendations and IT strategy prior to the first meeting. Is it worth investing a little of your time, to get back a lot of your time?